Pinpointing what we love most about this business is well… tricky business. But, a September wedding, idyllically situated on a rolling family farm in Annapolis Valley, Nova Scotia, truly is the cream-of-our-crop. Love was thick in the air at this beautiful barn-side ceremony, set amongst bails of hay lined with woollen blankets and rustic bunting. Gorgeous fire-side benches were made on the family farm by the father-of-the-bride. This wedding is truly a labour of DIY-love for the bride, groom and their family and friends; their attention to detail was both impeccable and tasteful. Country-chic worn by guests in denim and leather, mingled around a central campfire hearth and a large marquis. There was the relaxed energy similar to a music festival and joyous occasion. Tents sprinkled the back field and parents mingled with mason jars of celebratory spirits. Plenty of open field for children to explore. 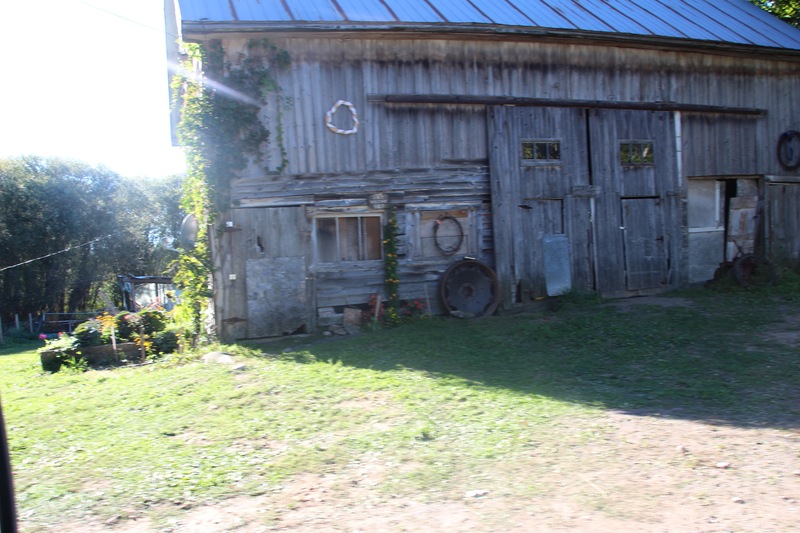 The scene was set for a surprise ‘Honeymoon Homestead’. sister-to-the-bride, Megan, had another surprise plan for the newlyweds. We think she quite possibly earned ‘Sister of the Year’! East Coast Glamping snuck on-site for 2:30 p.m. while the newlyweds were busy with wedding photos. 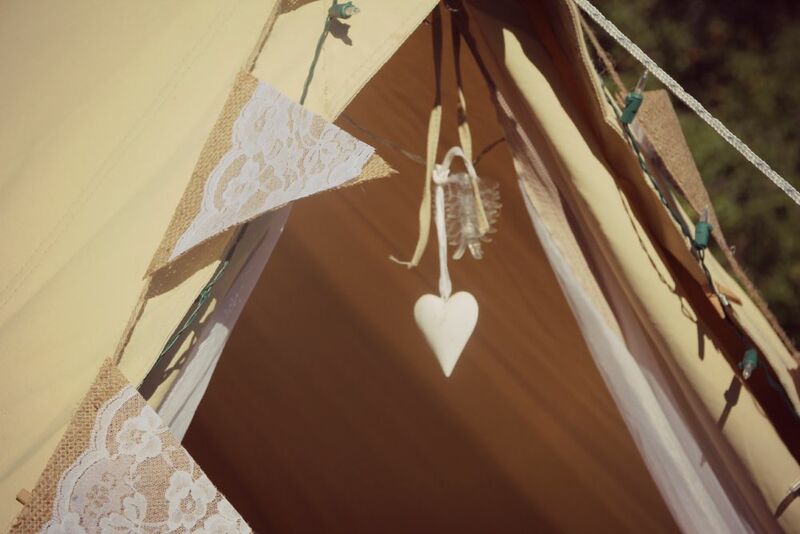 We had a 2 hour window to create the perfect honeymoon homestead, complete with our favourite country-glamping accessories in ‘Rosie Bell’, one of our 5 Metre PRO bell tents. Definitely a summer 2015 highlight! Congratulations and many happy returns to both Becky-Anne and Ian and we thank you for making ECG part of your special day. 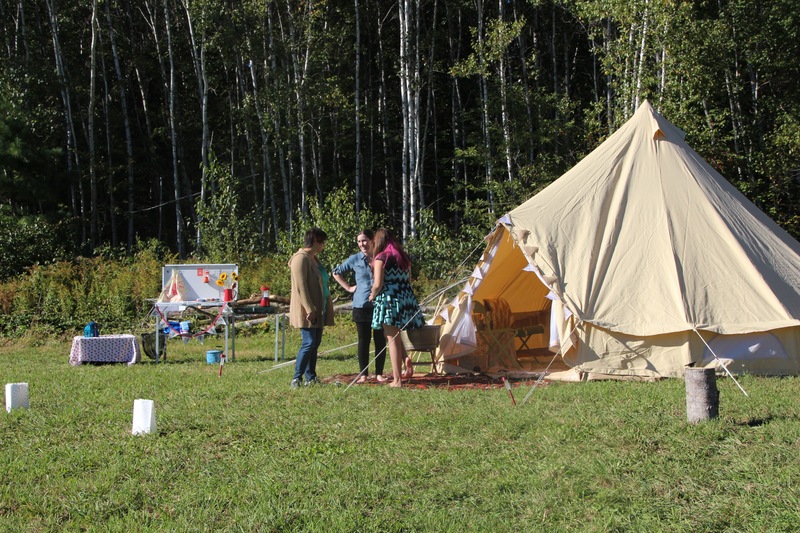 East Coast Glamping specializes in bell tent experiences throughout the Maritimes. We create unique bell tent villages, honeymoon suites and fabulous bridal party lounges.